A raised bed is essentially a garden built above the natural soil. You have the option of aerating your natural soil and using that in the raised bed, or buying soil that contains the nutrients most important for your crop. Raised beds can grow almost any of the same crops you would grow in the ground, from flowers and vegetables to small bushes and shrubs. You have the option of constructing raised beds in the field, or inside of a greenhouse or high tunnel, depending on your needs. What are the benefits associated with growing in raised beds? Raised beds are an excellent alternative to growing plants directly in the ground. In raised bed gardening, you control the conditions your plants are exposed to. First, you are able to choose the texture and content of the soil you grow in. Natural soil tends to be tightly packed and lacking nutrients. The soil used in a raised bed is nutrient rich and aerated, allowing you to plant crops closer together. The tightly-packed soil you would find naturally can prevent roots from growing correctly. Raised bed gardens produce almost twice as many flowers and vegetables per square foot as ordinary gardens. Another advantage to raised beds is extended growing seasons. Soil in raised beds tends to warm up more quickly in the spring, and stay productive later into the fall than ground soil. This gives you time to plant an extra crop or two, increasing potential income. 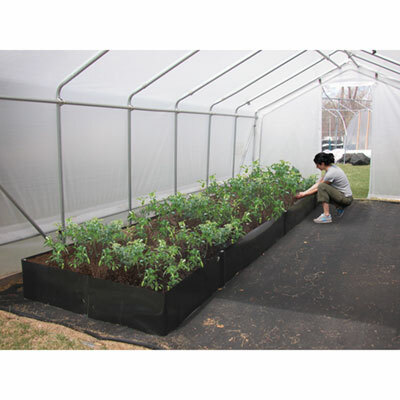 What types of raised bed kits are available through TekSupply? PolyMax® Raised Bed Kits: Held together with our unique Stacking Joints, PolyMax® Raised Bed Kits are made from composite lumber with 20% wood fiber and two inner supports that make them stronger, stiffer and lighter than traditional wood raised bed kits. These kits are ideal because they don't weather or rot after multiple uses. Also, they are not manufactured with chemicals that could potentially seep into the soil and contaminate plants, unlike other types of raised beds. 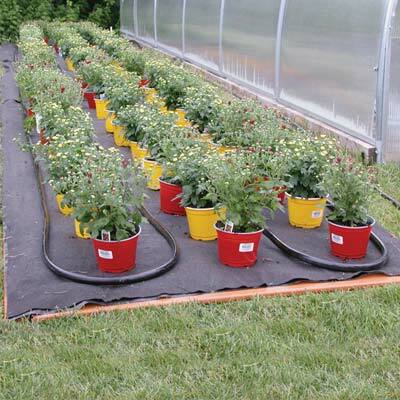 Commercial Fabric Raised Beds: 12" tall Commercial Fabric Raised Beds can be used inside your greenhouse or high tunnel or in the field. Manufactured from heavy-duty pond liner, these raised beds have 17-gauge galvanized steel posts located every 5 linear feet. 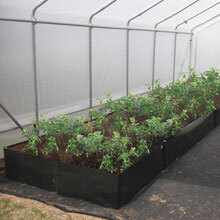 Commercial Fabric Raised Beds can be easily adjusted to a shape and size that fits your application. 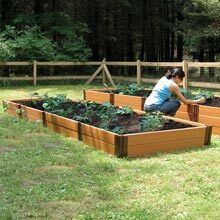 How do I construct my own raised bed? 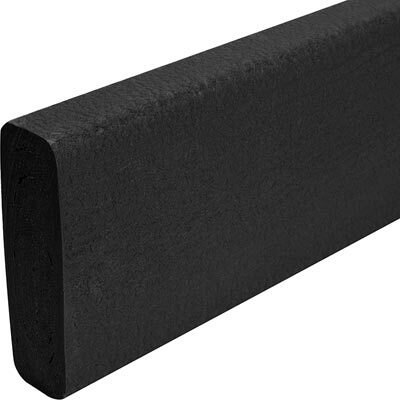 TekSupply offers all the products you need to construct your own raised beds. From Recycled Plastic Lumber to Galvanized Wire Mesh and everything in between, TekSupply can help you get all the right supplies for the location you have chosen. When choosing a location for your raised bed, it is important to consider how much sunlight your crop needs, as well as if there is a water source nearby. It is best to build on a flat surface. You also need to be sure that the site you choose has adequate space for the size of the garden you are considering. Once you decide on a size and location, it is time to prepare your site. 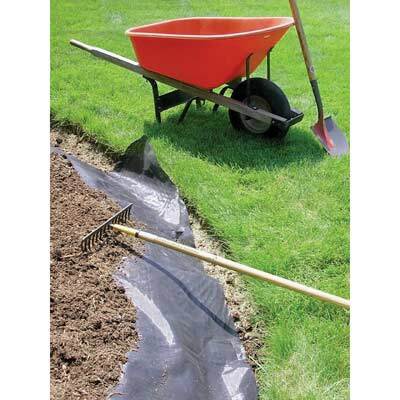 To be safe, even if you are planning a shallow bed, you should dig out some of the existing soil in order to give the roots enough room to grow. Once you dig your hole, place Galvanized Wire Mesh over the soil to maintain a barrier between your soil and the ground soil and to protect your plants from pests. After the Wire Mesh is placed, you can construct your frame. We recommend our 2" x 6" Recycled Plastic Lumber or 2" x 6" Composite Lumber as they are both rot, crack, split and splinter resistant and will not need to be replaced over time. 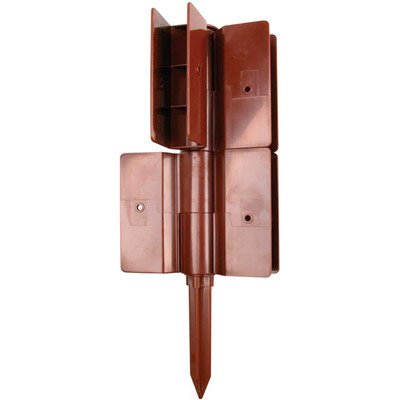 We also offer Stacking Joints, Anchor Joints and Finishing Sleeves to make installation quick and easy. It is critical that your raised bed frame is level so the water doesn't pool on one side of the bed when you are watering your plants. Last, fill your raised bed with soil. Find a mixture that suits your needs, fill the bed up and rake until it is level. Once the soil is level, plant your favorite seeds and wait for them to grow. Please note that growing in raised beds still requires proper lighting and watering. Next season, the same raised bed can be used to grow again. Simply add some compost to the soil and plant new plants. How can I keep pests out of my raised bed garden? Though pest problems are minimal with raised beds, burrowing animals can still be an issue on occasion. To avoid this problem, we recommend placing Galvanized Wire Mesh at the bottom of the raised beds to stop these critters. 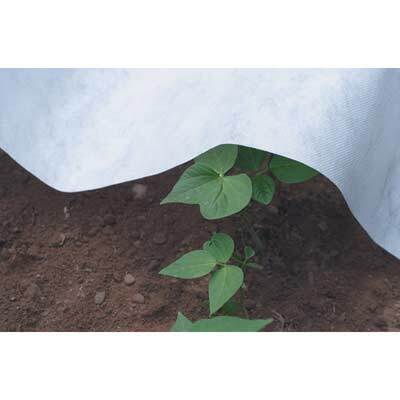 It is much more cost effective than replacing your entire crop after the pests get to it. Are there any systems I should install in my raised beds to make maintenance easier? 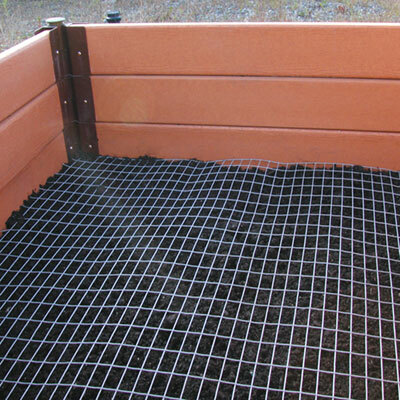 When you build your raised bed, we recommend outfitting it with our Gro-Quick® Soil-Warming Cables and a watering system. Soil Warming Cables should be buried about 6" into the soil and will automatically turn on when the soil temperature drops below 74°F. 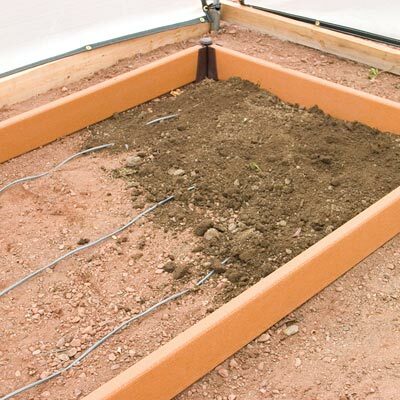 By having these cables in your raised bed, plants will grow more quickly and your growing season will be extended. Installing an irrigation system into your raised bed at the time you build it is also a great idea because it will save you the hassle of watering your plants by hand later. We recommend our drip tape system that can be customized to fit your individual needs. Contact us for more information. 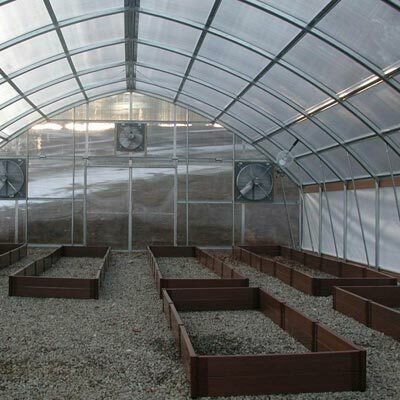 How can I protect my raised bed garden from unexpected cold weather? 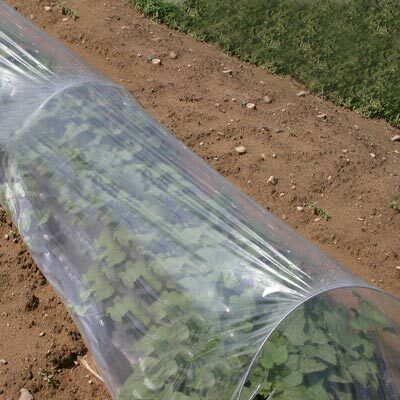 If your raised bed is going to be outside, rather than in a greenhouse or high tunnel, we suggest purchasing some row cover to prevent harm to plants from frost or unexpected cold weather. Have questions about Raised Beds? Visit our Live Help page or Contact Us.